Few, if any underground utility location and leak detection companies have been in business as long as ACS Underground Solutions. Our President, Ian Beaver, arrived in America from Manchester, England in 1992 to found one of the country’s first underground utility locating companies in the tri-state area. Ian, along with our Treasurer, Kathleen O’Dea Beaver, has led ACS to steady growth every year. ACS has provided excellent service and established an enviable reputation for first class work and client satisfaction. Our clients include many of the country’s top 25 engineering firms, leading colleges and universities, and many state and federal sites. And our clients come back. More than 80 percent of our work is with existing clients. The other 20 percent comes from client referrals. In a typical year ACS will perform work for more than 850 clients. Decades of Experience. Deep Expertise. 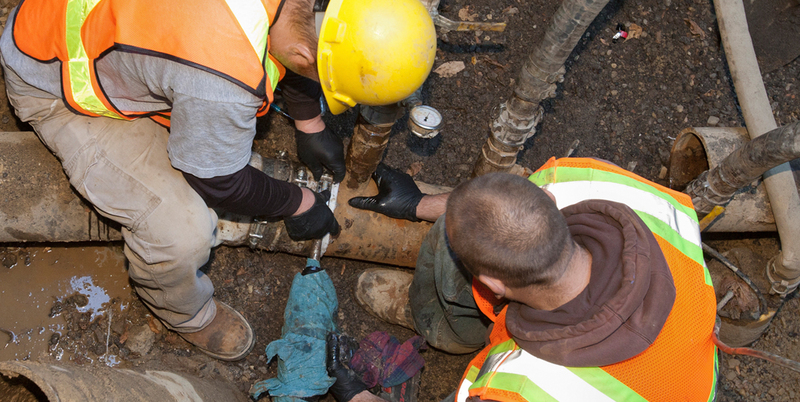 We are a private family owned consulting company with decades of experience and deep expertise in virtually all types of utility locating, leak detection, sewer inspection services, and more. Hundreds of engineering firms, higher education institutions, municipalities, construction companies, architectural practices, and others have hired us for work in Connecticut, New York, New Jersey, Rhode Island, Massachusetts, Pennsylvania, Virginia, Indianapolis, Missouri, and even outside the United States—in Barbados. VIEW OUR SERVICES AT ACS UNDERGROUND SOLUTIONS. We consistently exceed client expectations. No job is too big or too small. Working with the office or field staff at ACS is easy. We’re available 24/7. We believe in listening first and providing a calm business demeanor. We ask a lot of questions so we thoroughly understand your needs and preferences. Clients frequently describe us as reliable, respectful, and responsive. Call us today at 203-544-7190 to schedule your next job. Ask for Jo Schimke, Office Manager. ACS Underground Solutions performs an unusual amount of research before we go on site. We review client videos, photographs, and site plans to become as familiar as possible with the existing property. Doing so makes the site visits efficient, saves you time, and reduces the time and expense of the ACS field technician’s visit. Before a project begins ACS can provide one of a range of cost-free services to make sure we’re the right company for you and you’re a client we can deliver results for. ACS will attend a client meeting or conduct a site walk through with no cost or obligation on your part.